Deported from the Lodz ghetto and sent to Ravensbrück. Where is Fredzia living today? Born in Lodz, Poland in 1935. Fredzia and her mother were some of the last people being sent from the Lodz ghetto. They were separated from Fredzia’s father and transported directly to the Ravensbrück camp. 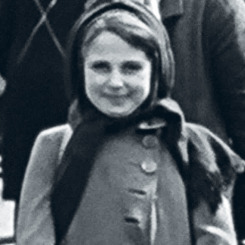 While being imprisoned Fredzia was forced to work at a Siemens factory near the camp. After a while she caught scarlet fever and was transferred to the infirmary. Every morning when Fredzia’s mother would come to visit her she feared that Fredzia had been disposed of, like many other ill prisoners. 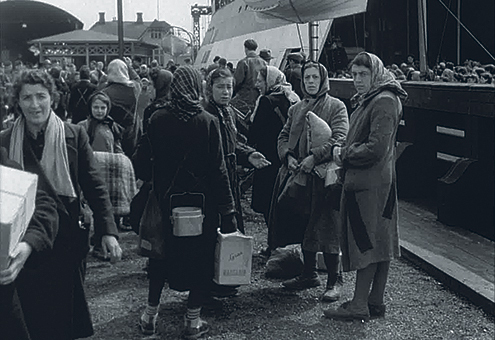 Fredzia came to the Malmö harbour with her mother on the morning of April 28, 1945. 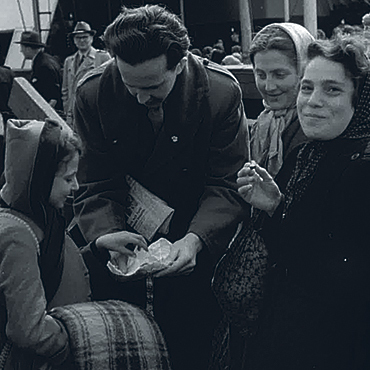 In the archive film from this day she is handed sweets from a Red Cross aid worker. After arriving to Sweden Fredzia’s father was reunited with the family. They stayed and lived in Stockholm for many years. Here Fredzia met her husband, rabbi Dow Marmur. In 1956 they moved to England and from there to Toronto, Canada, where they lived for many years. Today Fredzia and her husband live in Israel. If you can help us with further information about Fredzia Marmur we will be very happy to hear from you. Please write an email to our researcher Sebastian. Fredzia Marmur in Toronto, 2014. 9-year-old Fredzia Marmur recieving sweets from a Red Cross-worker in Malmö harbour on April 28, 1945.